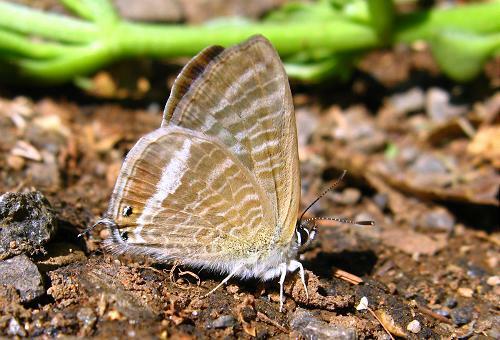 This is exactly the same cosmopolitan species as that we know in Europe as the long-tailed blue. There is no obvious difference in the appearance or behaviour of the Indian version of the butterfly. It was the commonest blue I saw in India, flying in the North, in the South and in the hill country. 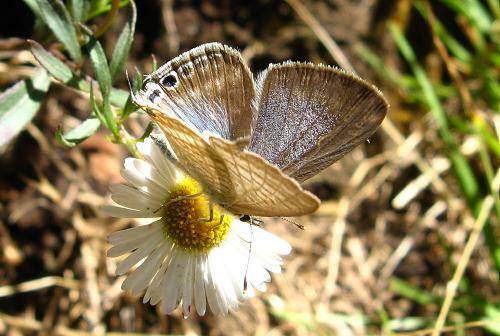 For more pictures of this species, including uppersides of the male, see Long-tailed blue.